A mess of creative energy has spewed all over the place. 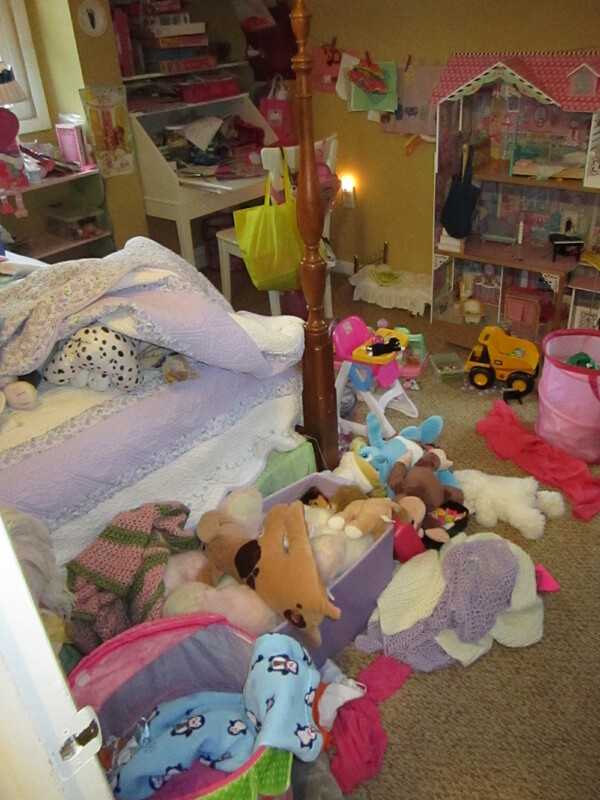 I’ve tried to organize her room before, but this is the result within minutes of my departure. 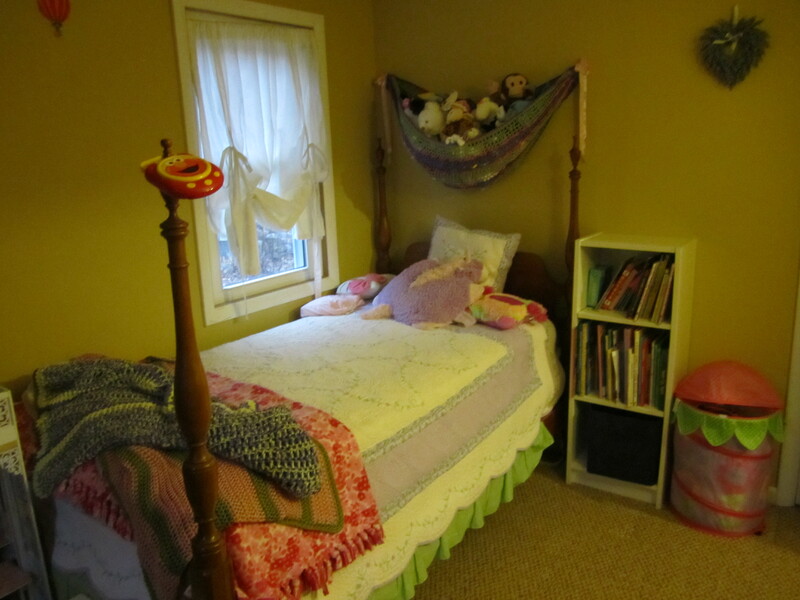 Today, I attempted once again to organize this room. 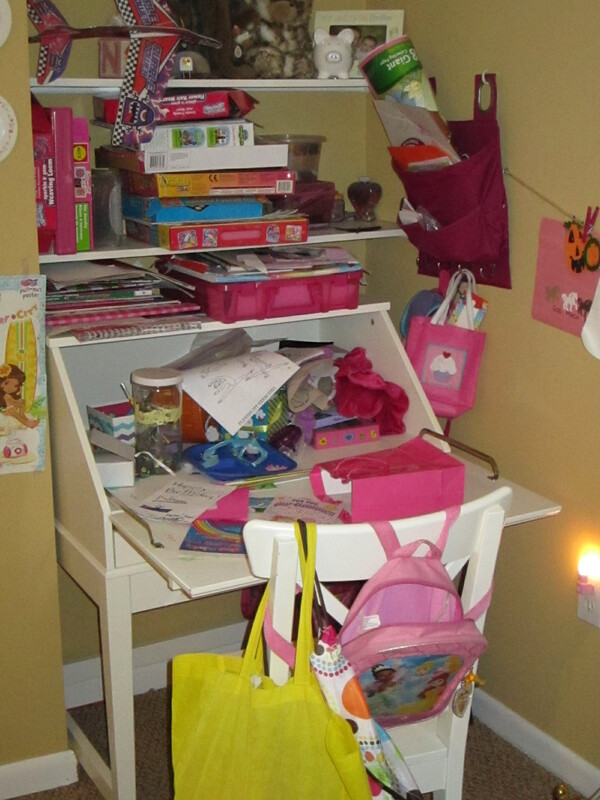 The challenge – cramming all of her crap beloved toys and crafts into one small room without it looking cluttered. 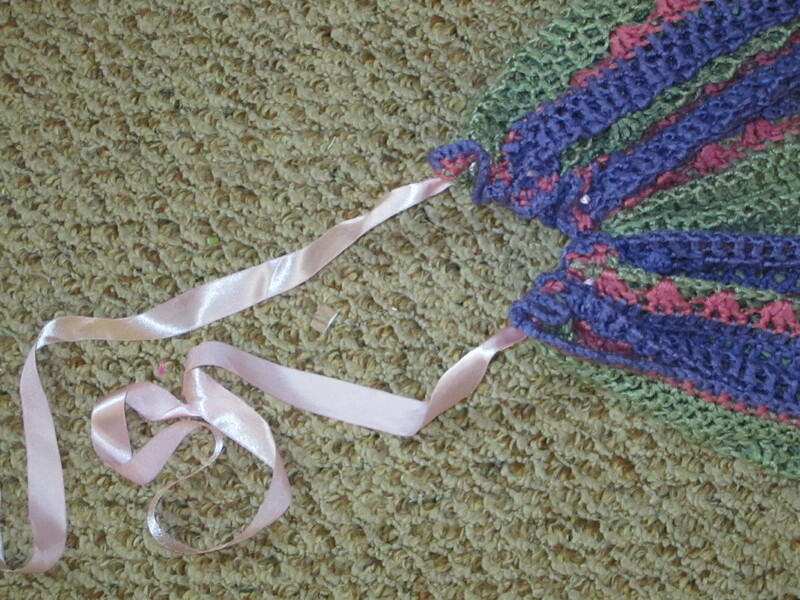 The dress up bin was previously located under the bed. 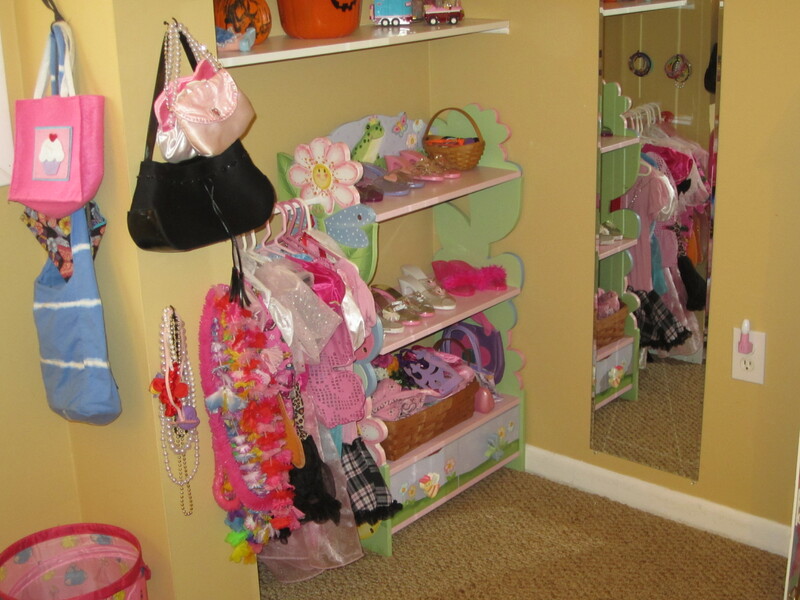 This was a great place when she didn’t play with it much, but now that dress up is an everyday occurrence – we needed to find a more prominent place in the room. 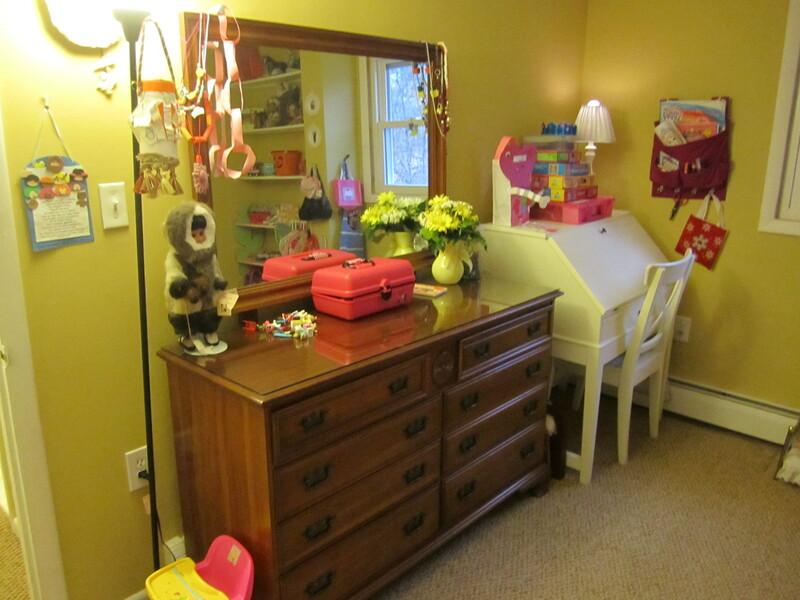 I present “The Dress Up Corner”. 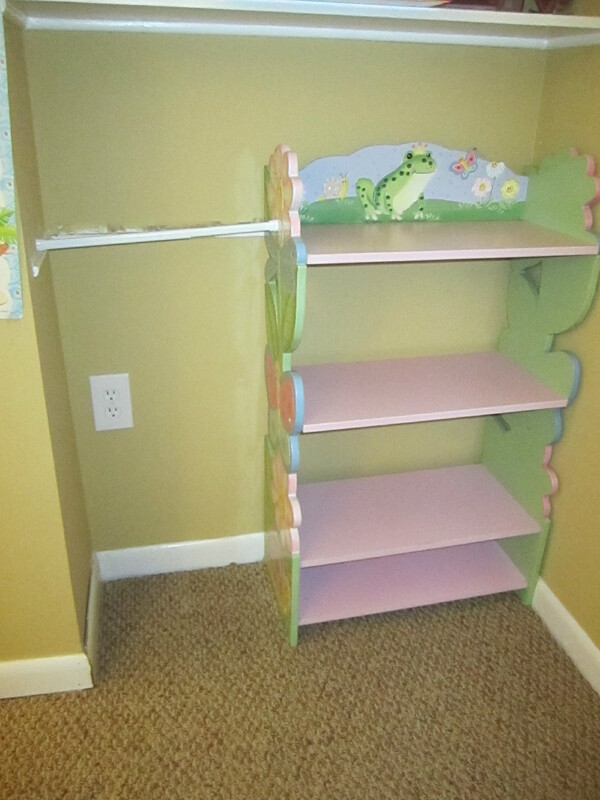 AFTER: The Dress Up Corner – Using a shelf I already had and a tension rod, I created a place to hang her dresses and a place to display her shoes. 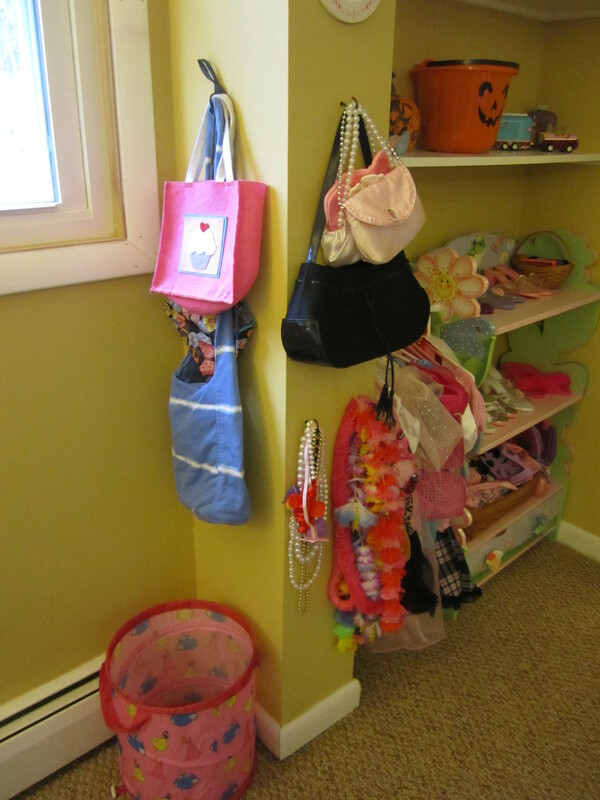 I then hung hooks on the wall to hang accessories. 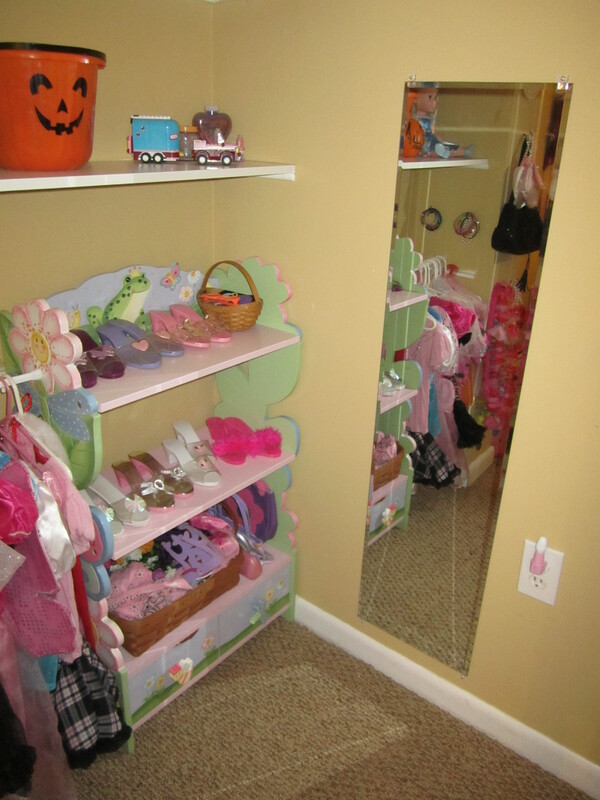 No dress up area is complete without a mirror, thus an inexpensive wall mirror was hung next to the dress up. I spent about $20 on some hooks, mirror and tension rod. Not too shabby. 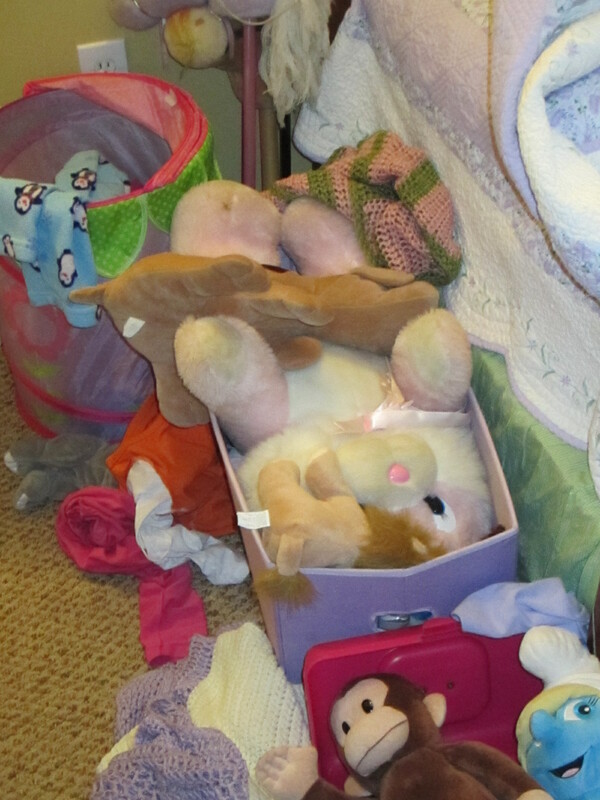 BEFORE: An attempt to use a cheap trunk which was supposed to hold the weight of a child, but quickly collapsed after stuffing it with stuffed animals and my children jumping on it. 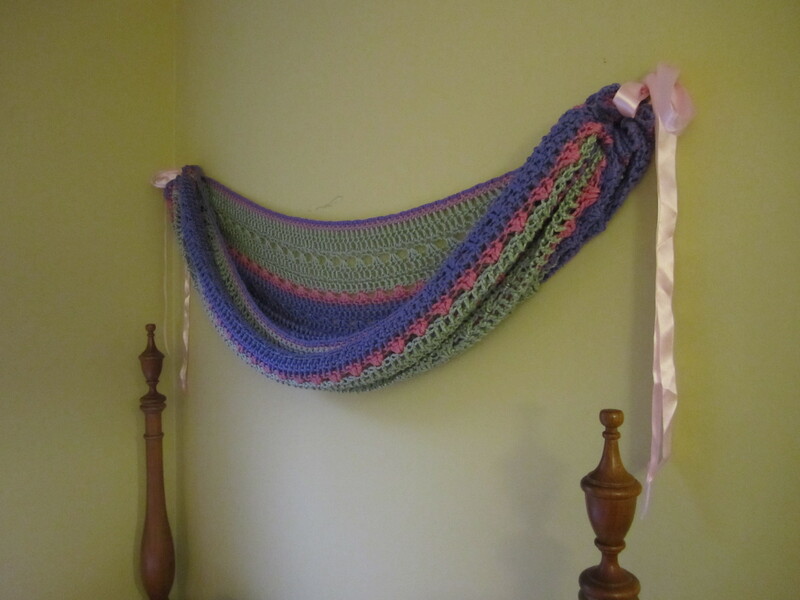 AFTER: A hammock made with a crocheted blanket (my daughter has about 5 thanks to my friends and my crafty ways) cinched together by some ribbon I had and tied to a screw in the wall. Cost $0. Woot woot! BEFORE: Papers stuffed in every drawer. My daughter loves to cut EVERYTHING, then tape it back together. 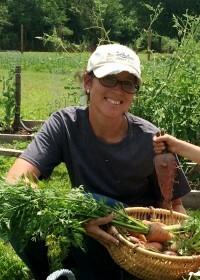 She saves everything from empty cereal boxes to magazines to packaging from a recent gift. If there is a picture on it, she wants to save it and cut it out, then save it again. It’s enough to make me crazy. So for this part, I told her to go play somewhere else while I filled up an entire LARGE trashbag full of “crafty collectables”. 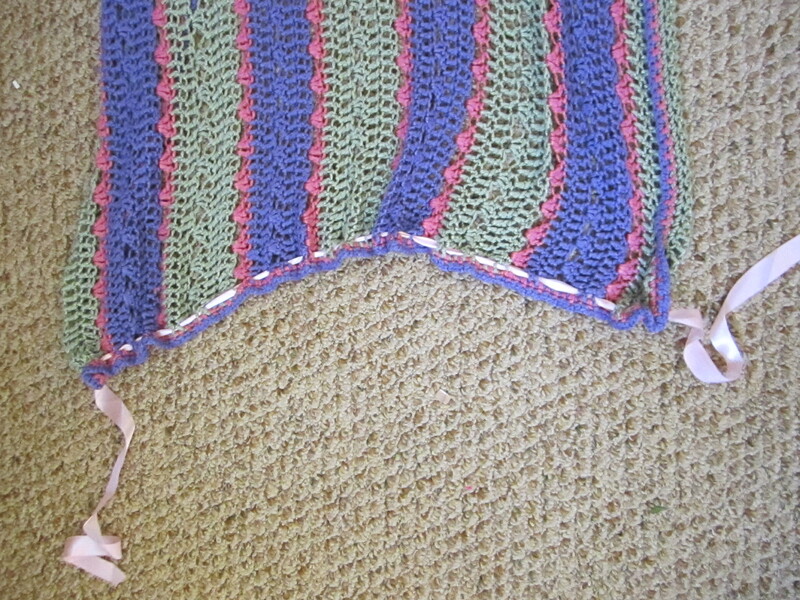 AFTER: Ah, nice and neat. I’m sure it won’t stay this way for long, but at least it looks nice at this moment. Coloring books together, stickers together, coloring items, etc. I also moved it to another spot in the room. 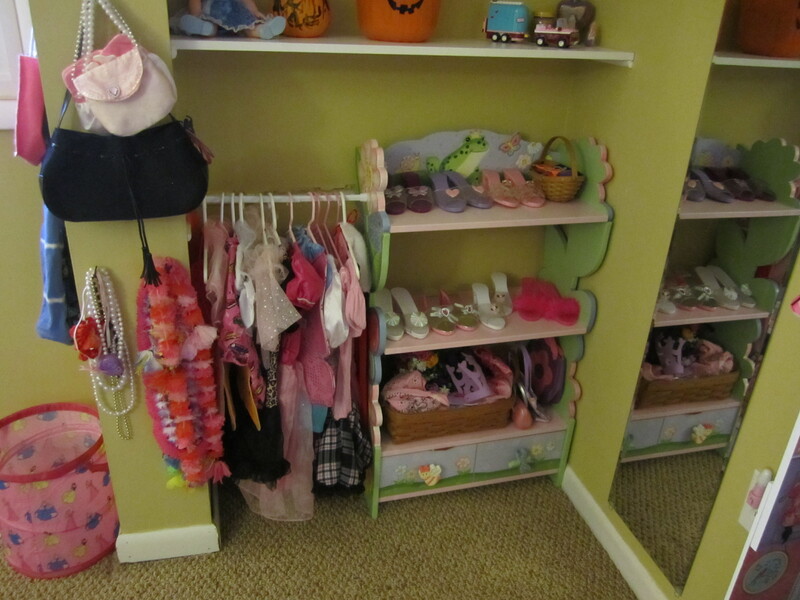 Meagan, I love, love, love the dress up corner! 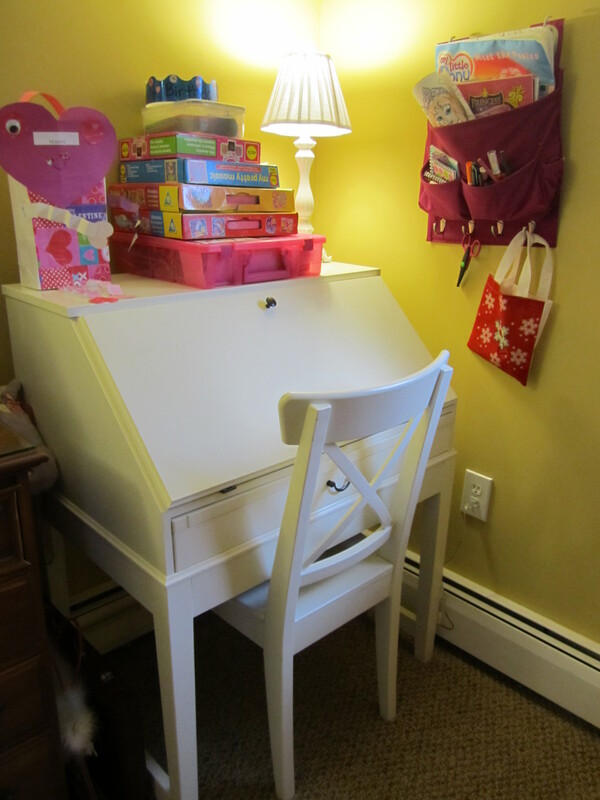 So smart to use a tension rod in that little nook! 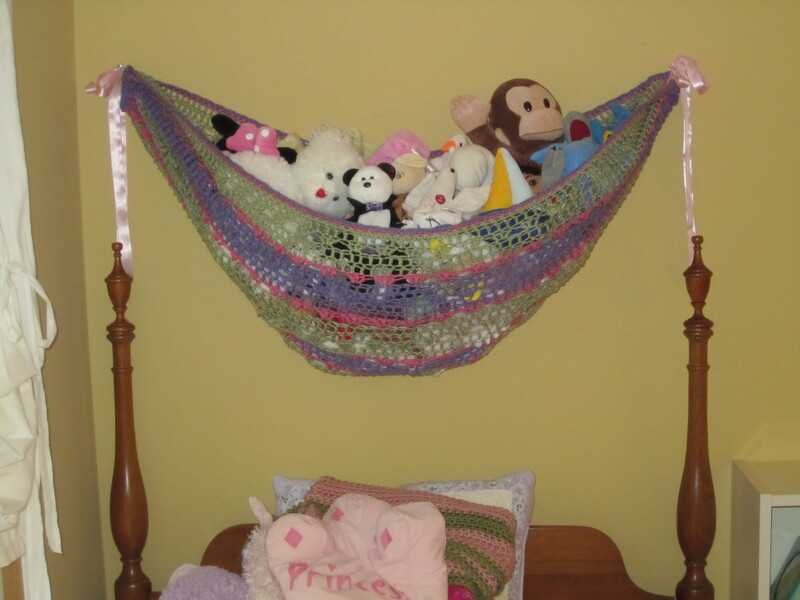 Great idea for a stuffed animal hammock too! I’m really enjoying reading your posts. Miss you guys! Thanks for the good idea for stuffed animals!